The Tennessee Beekeepers Association’s objectives include the promotion of modern, scientific beekeeping throughout Tennessee, encouragement of youth in the art of beekeeping, and informing the public of the importance of the honey bee. The University of Tennessee conducts honey bee research provides extension support throughout the state. Visit the university web site at bees.tennessee.edu. Comprehensive beekeeping pub covers everything from getting started to managing for pests. Michael Studer is Tennessee’s state apiarist. Contact Michael for colony inspection, entry permits, moving colonies, pollination list, apiary registration, County or Area Beekeeping Associations Apiary Inspection Grants and other regulatory issues. Visit the state apiarist web site for information on hive registration and inspections. Click here to access for a registration form in PDF format that you can mail in. 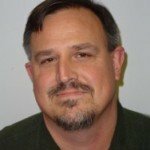 Master Beekeeper George Imirie (1933-2007) of Maryland published scores of helpful essays for beekeepers, including some specifically for the TBA. We have collected many of them into a PDF file for your benefit. Click here to download the file. 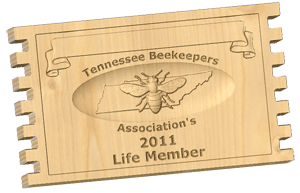 The Tennessee Beekeepers Association is chartered as a state chartered non-profit organization. We are governed by a constitution which you can review here (PDF file). Tennessee laws affecting beekeepers are collected under the title “Tennessee Apiary Act of 1995” which can be found under “Title 44 Animals And Animal Husbandry” of the Tennessee Code Unannotated. These laws can be viewed online thanks to LexisNexis. One of the most commonly referenced pieces of Tennessee law is referred to as the Honey House Bill. In short, a beekeeper who produces less than 150 gallons of honey per year can package and sell his/her product in retail stores without the requirement of an inspected food kitchen. You can review details here (PDF file).